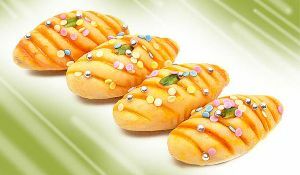 Packing Description : 30 gm X 12 Pcs. 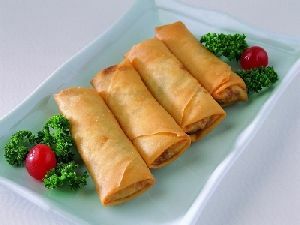 Description Spring Roll is a Chinese dish usually served as a starter but tastes good in the middle as well as the end of the meal or to snack anytime of the day. Size – : 18 gms. 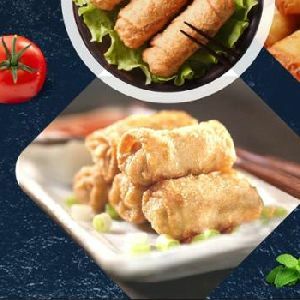 DESCRIPTION : Cheese and Sweet Corn Spring Rolls are our specialty rolled snack with a healthy filling of cheese, sweetcorn, and other vegetables in small portions. The filling is flavoured with mild spices. 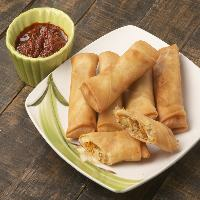 Curb the hunger with our easy-to-make Frozen Spring Roll . 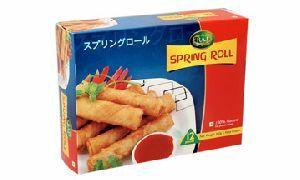 Appreciated for delicious taste, freshness and quality, our Frozen Spring Roll is highly in demand. 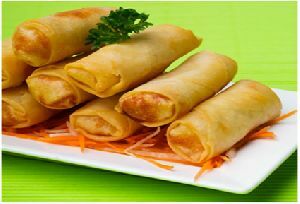 We make use of excellent quality ingredients in preparing our variety of Frozen Spring Roll like flour, vegetables, spices, oil, etc. 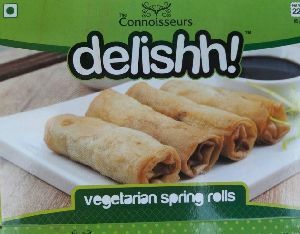 Our range of Frozen Spring Roll includes veg spring rolls, paneer spring rolls, chicken spring rolls, mutton spring rolls, etc. 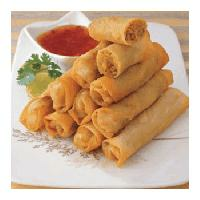 Exporters and Manufacturers of frozen spring roll. 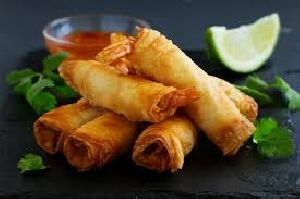 we offer Prawn spring rolls . Prawn spring rolls are rolled – stuffed in a thin wrapper with whole Prawns, vegetable and spices. 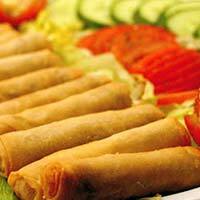 We serve our clients with the best quality Frozen Spring Rolls . They are processed under clean and hygienic environment using cutting-edge technology. 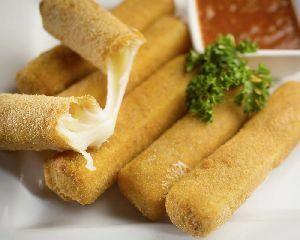 They remain fresh for a long time and give delicious and appetizing taste. High quality, temperature controlled packaging is used to keep them preserved for a long period of time. Clients are free to order in bulk as well as small quantities. 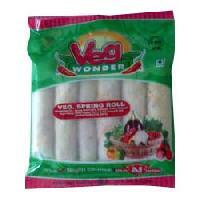 Offered by us is a wide assortment of Frozen Veg Spring Rolls . 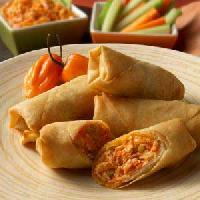 These Frozen Veg Spring Rolls are a crunchy wrap filled with delicious fresh vegetables. 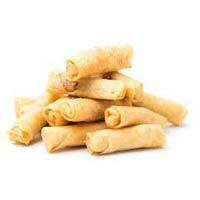 Our product is natural and handmade because of this each spring rolls retained its natural flavor and taste. 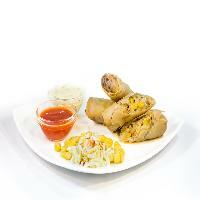 Spring Rolls which we provide in the stuffing of Vegetable, Paneer, and Noodles. 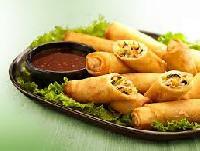 These Spring Rolls are spicy in taste and prepared on perfectly cleaned pans in the well-maintained hygienic conditions. 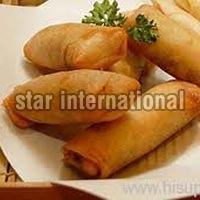 We are engaged in providing of veg spring roll in india. 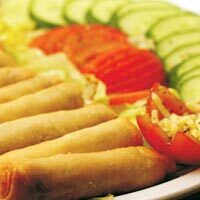 We are well known for supplying of wide variety of Veg Spring Roll. We are offering Frozen Spring Rolls. 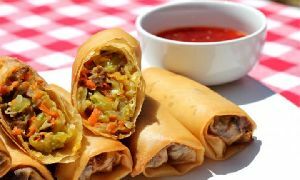 Delicious spring rolls with yummy taste and flavours.